Did someone say raw Peanut Butter Cups?! Yes, Please!! If you like peanut butter, you will love these beauties! 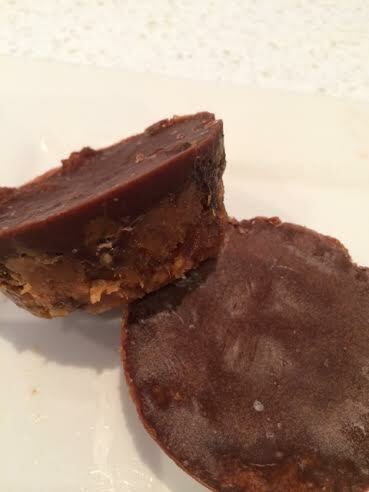 A raw version of the good old Peanut Butter Cups…. YUM! The best part is they are super simple to make and they don’t really require too many ingredients. We all know I love a dairy free sweet treat. This one has fast become one of our new favourites. Again, I stress that they are still a treat so you wouldn’t want to be eating them for breakfast, lunch and dinner…. but enjoy one as a little indulgence every now and then (when you’ve worked hard for it haha). 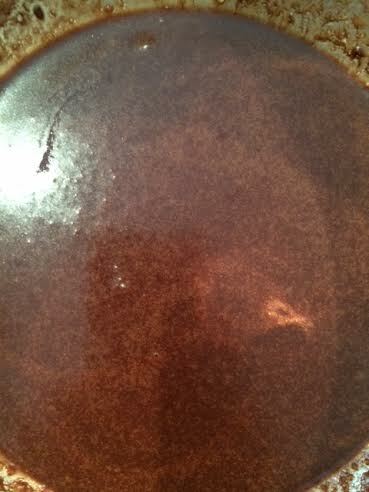 Once dates are soft, place peanut butter, dates, vanilla and salt into food processor and blend until well combined. 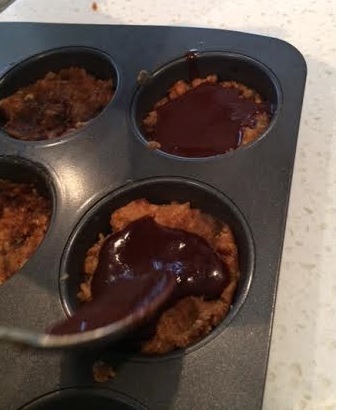 Press mixture firmly into muffin or mini muffin tray (depending on desired size). Combine the ‘chocolate top’ ingredients together in a bowl and spoon evenly on top of peanut butter cups. Place in freezer to set. We like them firm so we leave them for approx. 2-3 hours. This makes approx. 6 standard size muffin cups. 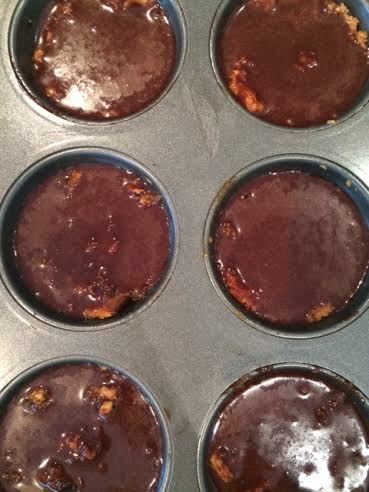 Once they are set, take them out of muffin tin and store in airtight container or zip lock bag in freezer! Enjoy – they are a little piece of delicious-ness! 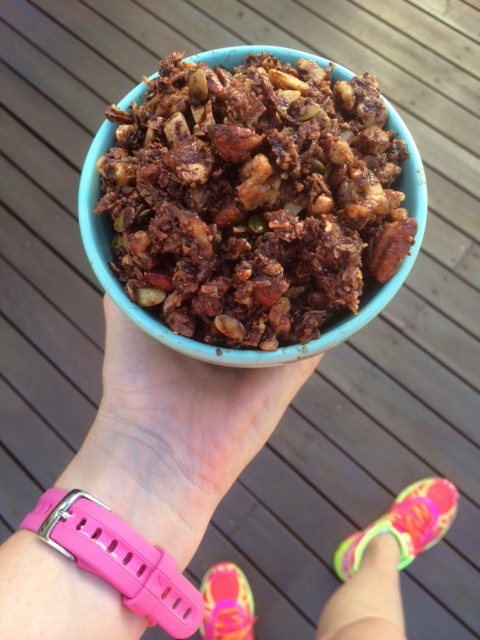 Fruit & Nut ‘Chocolate’ Recipe FitM.U.M Style!! It’s no secret that I used to be a little bit of a chocoholic (before I went dairy free… more about that here). I thought my world was going to end when I had to give up regular chocolate, but what I didn’t know was that since finding Cacao and making my own chocolate, I have never looked back. I can’t even remember the last time I had any ‘normal’ store bought chocolate, it would have to be at least 6 months ago! Looking for a little occasional sweet treat, myself and Irondad tried our hand at our own chocolate recipe. We have adapted it a bit along the way (usually each time we make it) so the quantities are a bit of a personal taste thing – I don’t claim to be a top chef. Feel free to play around with it and adapt it to your own taste (let me know if you find a winning combo!). 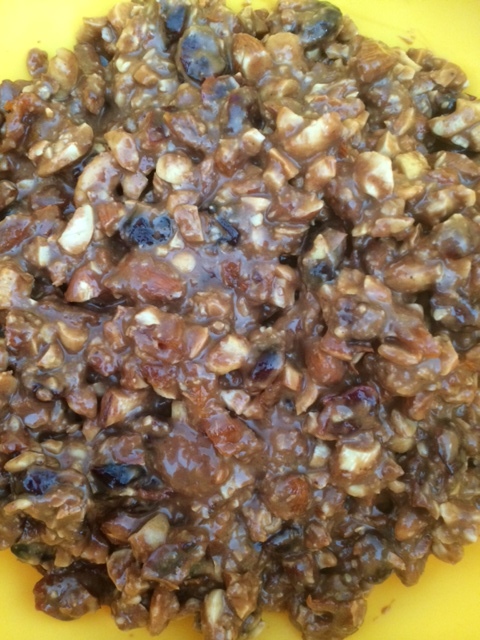 Place all ingredients (except for the nuts) into a medium mixing bowl and mix until well combined. Then stir in the chopped nuts, this will make it quite thick. Sprinkle desired amount of shredded coconut over the top. Place in the freezer to set. I leave it for a few hours as I like it really cold and firm. The longer you leave it in there the firmer it will become. Once it’s ready I slice it into either cubes or slices depending on the size you want and then store it in an air tight container and leave in freezer as it melts very easily at room temperature. Enjoy and good luck not wanting to eat the whole batch in one sitting! 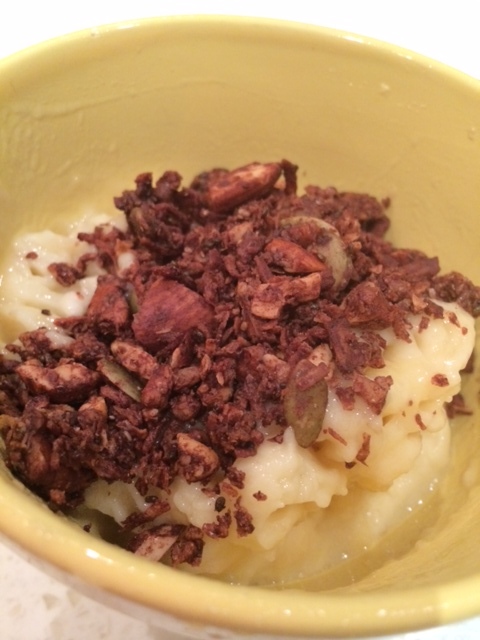 This recipe is based on a recipe from I Quit Sugar (a cookbook I love!). I have adapted it slightly so I will post my version. I usually just guesstimate the measurement of nuts but below is an approximate guide. 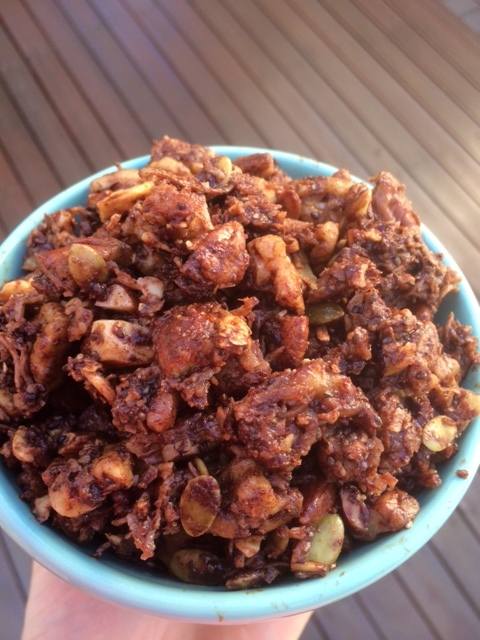 You can substitute any nuts really and you will soon find what you like based on your taste so make a few batches and have a play around. If you stumble across an amazing new version or ingredient, please be sure to let me know so I can try it! Preheat oven to 120 degrees and line baking tray with baking paper. 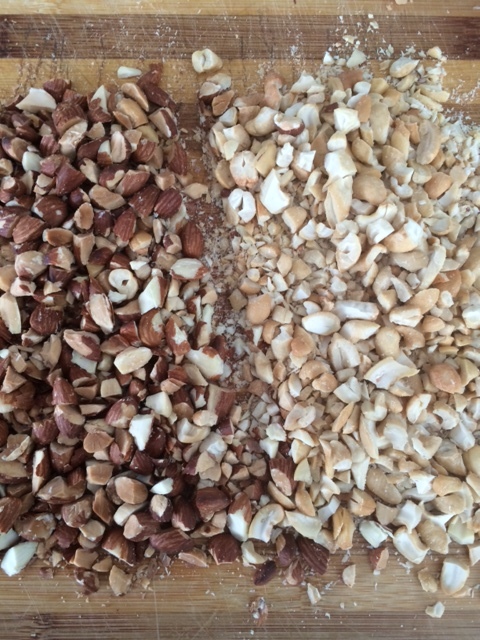 Roughly chop all nuts and combine all ingredients in mixing bowl. 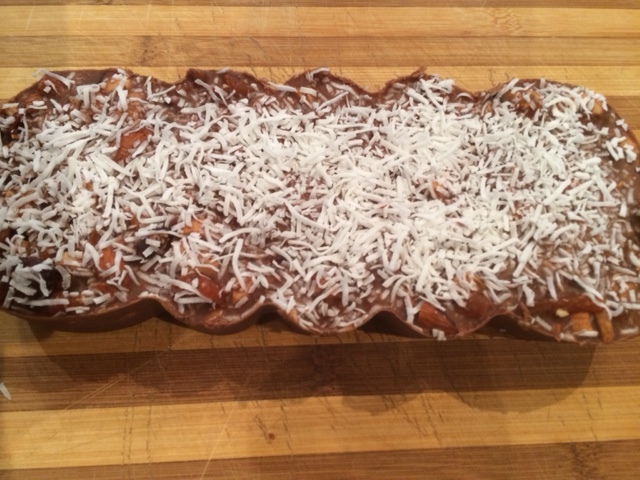 Mix until everything is coated in the chocolate and spread evenly on baking tray. This part is dependent on your oven, I bake mine for 20 mins and turn and then bake again for another 5-10 mins. I like it quite dark and crunchy so this might be trial and error for the first few go’s, just keep an eye on it and test it. Remove from oven and allow to cool on tray, this will also dry the granola out as it often still looks slightly wet when you first pull it out of the oven. 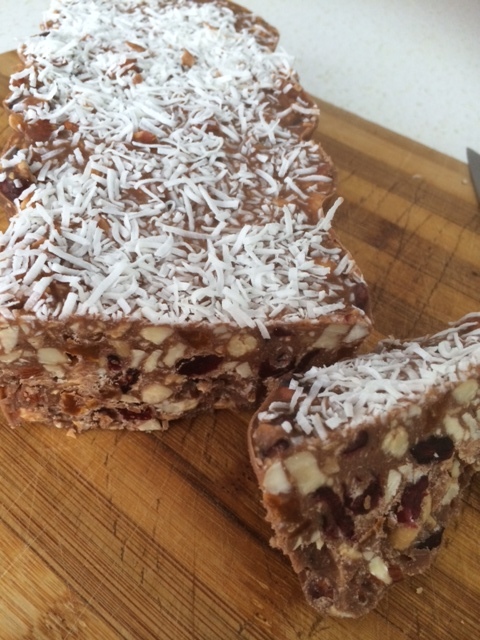 This is a delicious healthy and super quick and easy recipe from I Quit Sugar (Sarah Wilson’s amazing cookbook). 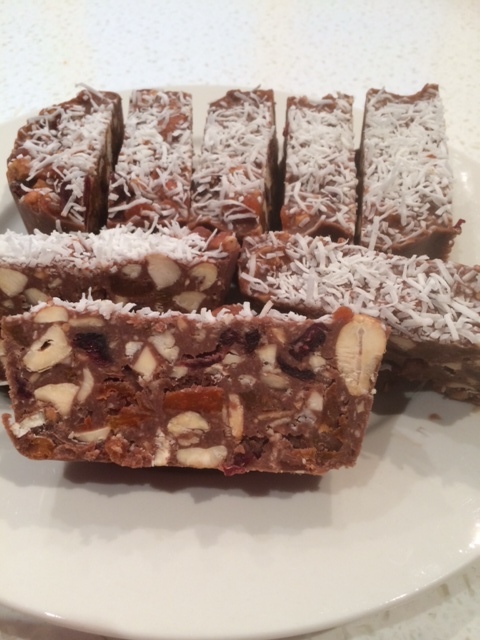 We often make these after dinner as it is like having desert when you just need that little something after a hectic day, but there is nothing bad in it at all. 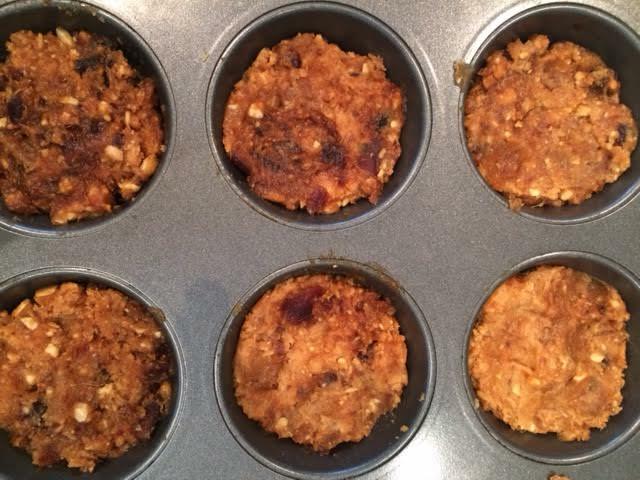 The other good thing is you don’t need to make an entire batch of muffins. Just individual serves and they are ready in minutes! 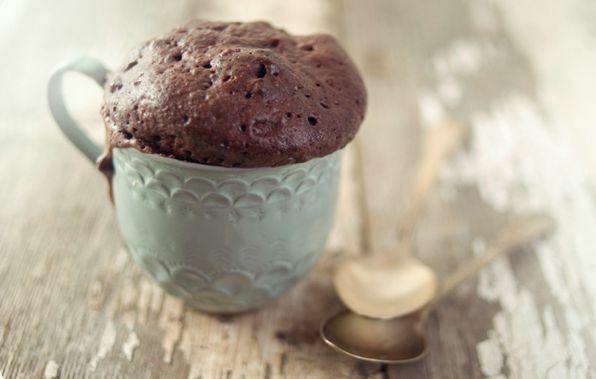 Add all ingredients to a microwave-safe porcelain mug and mix with a spoon. Microwave on high for 1 1/2 – 2 minutes. 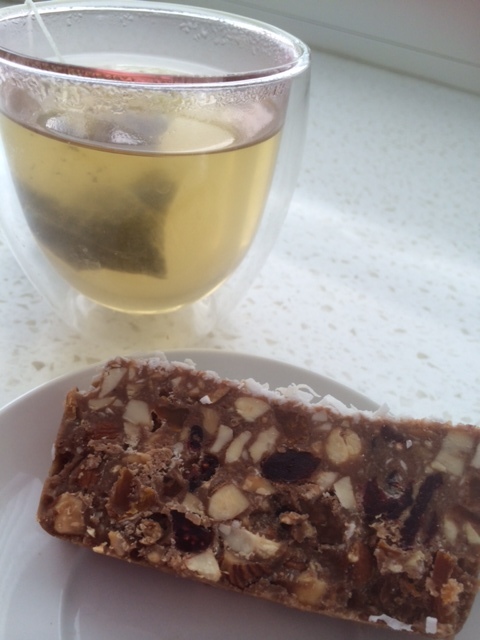 We serve ours with a drizzle of honey and coconut flakes but you could add whatever you like. The recipe says serve with greek-style yoghurt. I like it slightly runny in the middle rather than too dry so I do 1 1/2 minutes and it is perfect! If you wish, you can add your favourite protein to them if you want Choc Nut Protein Bliss Balls. 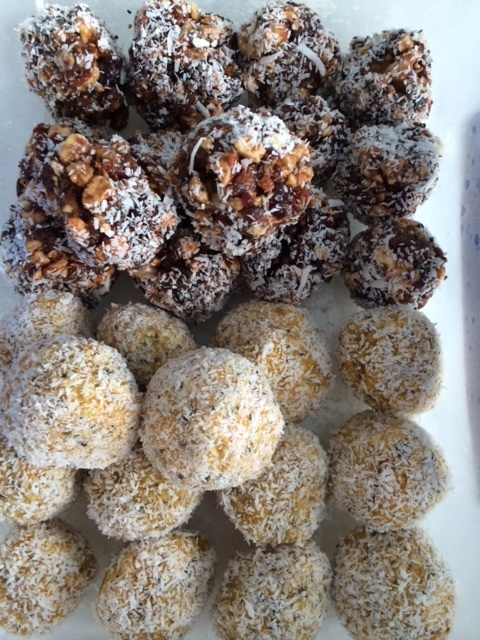 This photo is half Cacao & Nut Bliss Balls and half of my Apricot Bliss Balls. 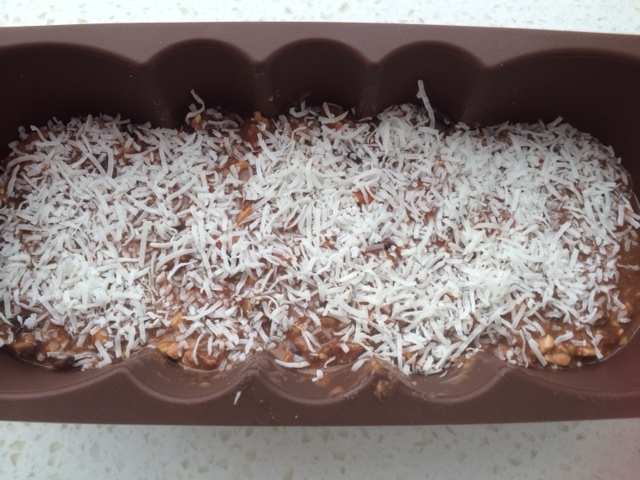 Roll in mix of chia seeds and desiccated coconut. Chill in fridge for approx. 1 hour (or freeze). We usually store half in an air tight container in the fridge and the other half in a zip lock bag in the freezer.